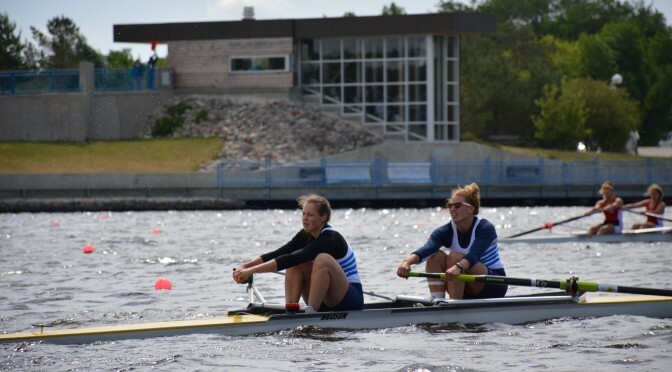 All lightweight rowers racing in lightweight events on the day’s program shall weigh in not less than one hour and not more than two and one half hours before the time of the first scheduled men or women’s lightweight event on that day. A test scale will be available at the practice session. Coxswains may be of either gender. Age classification for coxswains will not apply at this regatta. The minimum weight of a coxswain, wearing a racing uniform, shall be fifty kilograms for a women’s crew or fifty-five kilograms for a men’s crew, for all events that require a coxswain. If underweight, a coxswain shall carry sufficient deadweight to make up the difference between the weight of the coxswain and the minimum required weight. Coxswains shall be weighed wearing their racing uniform on tested scales not less than one hour and not more than two and a half hours before the first coxed race on each day of the competition.